Dr. Grace Kim is a pathologist from San Francisco, California. She has been practicing medicine for more than 20 years. Dr. Kim is specialized in diagnostic surgical pathology. She graduated from the medical school of the Loma Linda University. Afterward, she completed a residency stage in anatomic pathology at the Stanford University. Then she continued with a fellowship stage in surgical pathology at the same institution and an additional fellowship in pediatric pathology at the University of Texas Southwestern Medical School. Dr. Kim is a board-certified specialist in anatomic pathology & clinical pathology and pediatric pathology. She contributed to several published studies that focused on topics such as Dicer’s role in pancreatic cancer initiation, colorectal cancer, intrahepatic cholestasis 2, newly diagnosed metastatic osteosarcoma treatment, pancreatic ductal adenocarcinoma, nodal status in ampullary carcinomas. During her career, she received several awards including the International Society for the Study of the Lumbar Spine Prize and the University of California, San Francisco, School of Medicine Teaching Award from Department of Pathology. 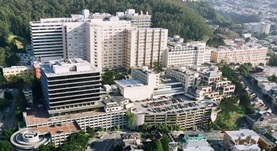 At the moment, Dr. Grace Kim collaborates with the UCSF Medical Center. Dr. Grace Kim has contributed to 3 publications. Reid MD, Balci S, Ohike N, Xue Y, Kim GE, Tajiri T, Memis B, Coban I, Dolgun A, Krasinskas AM, Basturk O, Kooby DA, Sarmiento JM, Maithel SK, El-Rayes BF, Adsay V; Mod Pathol. 2016 Sep 2. Intrapancreatic distal common bile duct carcinoma: Analysis, staging considerations, and comparison with pancreatic ductal and ampullary adenocarcinomas. Gonzalez RS, Bagci P, Basturk O, Reid MD, Balci S, Knight JH, Kong SY, Memis B, Jang KT, Ohike N, Tajiri T, Bandyopadhyay S, Krasinskas AM, Kim GE, Cheng JD, Adsay NV; Mod Pathol. 2016 Jul 29. Kim SS, Nakakura EK, Wang ZJ, Kim GE, Corvera CU, Harris HW, Kirkwood KS, Hirose R, Tempero MA, Ko AH; J Surg Oncol. 2016 Jul 21.